"Lately, I've only been encountering unsophisticated prey. My scythe and I are unsatisfied." "Lately, I've only been encountering unsophisticated prey. My scythe and I are unsatisfied." The above info came from Evangeline, and was edited by yours truly (contact me). 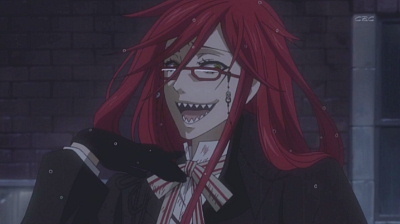 Grell is over-the-top and flamboyant, with a tendency to use female nouns and pronouns when referring to herself even though he is biologically a male and all other characters use male pronouns when referring to her. She also has a tendency to put things in terms of theatre, referring to Angelina's death as the falling of curtains on a theatre act, and comparing her relationship with Sebastian to the famous play, Romeo and Juliet. She apparently has feelings for Sebastian, much to the latter's disgust, and gives Sebastian the nickname "Little Sebast" in the manga and "Sebby", "Bassy" and "Sebas-chan" in the anime. However, her affections are not limited to Sebastian, as she seems to find men in general attractive. For example, with William Spears, whom she calls a sadist, she seems enamored by his eyes, saying they send chills up her spine. She also hunts down Pluto, saying he made her hunk radar go off. In particular, she seems to favor those he deems immoral. The other Shinigami, however, don't seem to like her, as William constantly refers to her as "trash." 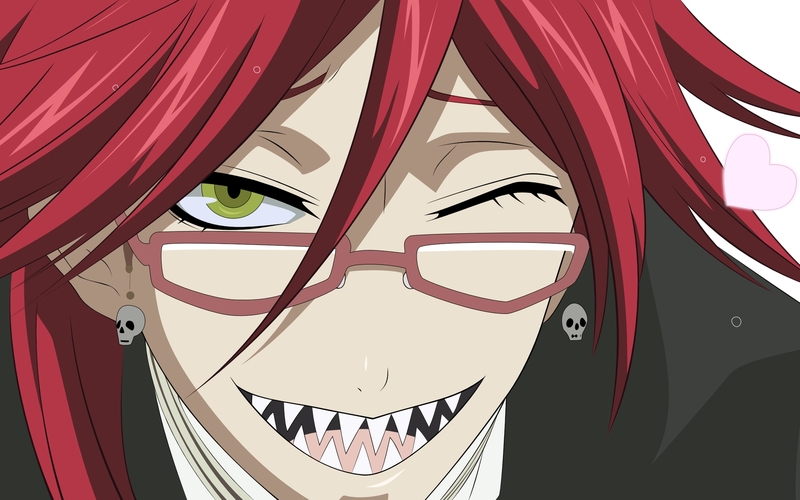 His favorite color, apparently, is red, as she is described as the Shinigami in red by Angelina, commits the Jack the Ripper murders so she can paint "ugly" women red with their blood, and says "Ordinary women aren't fit to wear the color." The above description came from Evangeline, and was edited by yours truly (contact me).